Abnormal growths or "spurs" on the bones of the spine (vertebrae). These changes can, over time, press down on (compress) one or more of the nerve roots. Every day wear and tear may start these changes. People who are very active at work or in sports may be more likely to have them. 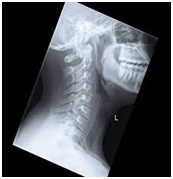 Neck injuries: Previous neck injuries appear to increase the risk of cervical spondylosis. 1. Keep your spine straight like the picture, while sitting or standing. 1. We strongly advice against forward bending exercise. Avoid jogging, running, jerking. Avoid carrying heavy bags and don't lift heavy weights. 2. Reduce tension by practicing Pranayama & meditation. 2. Soft chair, bed should be avoided. 3. Have milk, milk products, green vegetables, small fishes They contain calcium. 3. Don't take painkillers it causes stomach Ulcers? 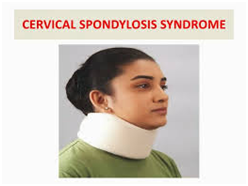 If cervical spondylosis results in pressure on the spinal cord (cervical stenosis), it can put pressure on the spinal cord, a condition called cervical myelopathy. 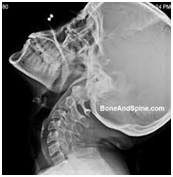 Another possible complication of cervical spondylosis is cervical radiculopathy, when bone spurs press on nerves as they exit the bones of the spinal column. Pain shooting down into one or both arms is the most common symptom. every patient with suspected cervical spondylosis. This examination is valuable in evaluating the intervertebral disk spaces, and osteophyte formation. In select circumstances, flexion-extension views may be needed to detect instability. Myelography, with computed tomography (CT) scanning, is usually the imaging test of choice to assess spinal and foraminal stenosis. Most physicians depend on MRI in diagnosing cervical spondylosis. Myelography adds anatomic information in evaluating spondylosis. Myelography may be especially useful in visualizing the nerve root takeoff. CT scanning, with or without intrathecal dye, can be used to estimate the diameter of the canal. CT scans may demonstrate small, lateral osteophytes and calcific opacities in the middle of the vertebral body. MRI: is a considerable advance in the use of imaging to diagnose cervical spondylosis: An MRI uses a strong magnetic field and radio waves to produce a detailed picture of the inside of your body. High signal-intensity lesions can be seen on magnetic resonance images of spinal cord compression; this finding indicates a poor prognosis. False-positive and false-negative MRI results occur frequently in patients with cervical radiculopathy; therefore, MRI results and clinical findings should be used when interpreting root compression. Electromyogram (EMG). 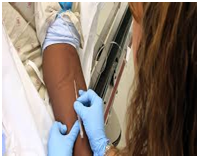 This test measures the electrical activity in your nerves as they transmit messages to your muscles when the muscles are contracting and when they're at rest. The purpose of an EMG is to assess the health of your muscles and the nerves that control them. your skin above the nerve to be studied. A small shock is passed through the nerve to measure the strength and speed of nerve signals. 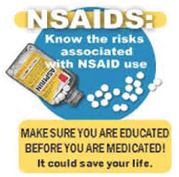 If one NSAID fails to help with pain, your doctor may try an alternative. 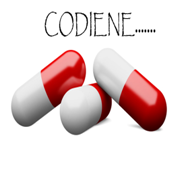 A common side effect of taking codeine is constipation. Anterior cervical discectomy This is used when a slipped disc or osteophyte (lump of extra bone) is pressing on a nerve. 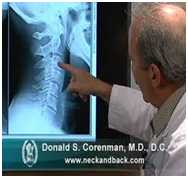 Cervical laminectomy The surgeon will make a small incision in the back of your neck and remove pieces of bone that are pressing on your spinal cord. Prosthetic intervertebral disc replacement This relatively new surgical technique involves removing a worn disc in the spine and replacing it with an artificial disc. Most people can leave hospital within three to four days, but it can take up to eight weeks before you can resume normal activities. This may have an impact on your employment, depending on the type of work you do. damage to nerves, which occurs in rare cases - this can result in persistent feelings of numbness and "pins and needles"
Research suggests that moderate-intensity low-impact activity, such as yoga and fast walking, is just as effective as high-impact activity, such as running. These home exercises are ideal if you're not very active but want to improve your health, lift your mood and remain independent. Don't worry if you haven't done much for a while. These exercises are easy, gentle and can be done indoors. Swimming: works the whole body. It's a great way to tone up and get trim. Swimming a few lengths involves most of the muscle groups and you'll get a good aerobic workout if you increase the pace. Swimming can also help you lose weight if you swim at a steady and continuous pace throughout your session. Yoga can improve both your physical fitness and your general wellbeing through a series of postures and breathing exercises. Regular yoga practice helps develop strength, balance and flexibility. It also lifts your mood. Practice the following yoga regularly. Choose a time of day you can stick with so that exercise becomes a habit. No matter what time of day you choose to exercise, make sure to plan your workout two to three hours after your meal. Heal Cervical Spondylosis and Neck Pain naturally. Stand straight. Turn your head toward right side. Then move your head back in normal posture. Then turn your head toward left and then come back to normal position. Do this for 10 times, and take rest. Benefits: This neck exercise relieves neck pain caused by posture problems. Stand straight. Turn your head toward up and bend backward then come back in normal posture. Do this for 10 times and take rest. 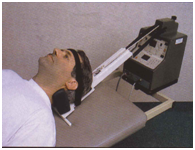 Benefits: This neck exercise relieves Cervical Spondylosis caused by posture problems. Stand straight. Place your right hand on your right cheek. Now try to move the neck toward right side and resist the neck from moving by your right palm. Both the pressure will be equal and hence the neck should not move. Hold the position and count 10. Do the same thing with left side. Benefits: It strengthens the muscles of the neck, upper back, and shoulders. Stand straight. Place two palms below your chin. Now push the palms with your chin and resist it with your palms. Both the pressure will be equal prohibiting any movement. Hold the position and count 10. Benefits: It relaxes the neck and reduces pain. Stand straight. Place your right palm above the ear and resist the head to move at right side. Both the pressure will be equal and hence the neck should not move. Hold the position and count 10. Do the same thing with left side. Benefits: Strengthens the neck muscles and increases its flexibility. Postural training, neck-school therapy (supervised, small-group therapy), stress management, and vocational assistance. Special splinting to compensate for weakness, and the use of assistive devices that allow the patient to perform previously impossible activities. Most cases of spondylosis are mild and require little if any treatment. In more aggressive forms of the disease, especially in the cervical spine, the goal of treatment is to relieve pain and prevent spinal cord and nerve root injury. 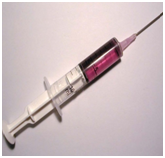 The more common non-surgical treatments are summarized below. 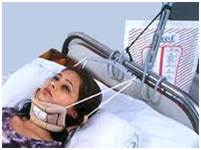 Severe cases of spondylosis may require bed rest for no more than 1-3 days. Long-term bed rest is avoided as it puts patient at risk for deep vein thrombosis (DVT, blood clots in the legs). used to alleviate symptoms associated with spondylosis. Intermittent traction therapy may be included with the use of a brace. In recent years many specialized diets have gained popularity among some people with arthritis. Try to keeping a food diary for a few weeks to find out if indeed what you eat makes a difference or if you have food sensitivities. Whether a person is affected by a chronic illness or not, there are some straightforward guidelines that if followed, would lead to improved health and well-being for almost everyone. Both calcium and alcohol affect the strength of the bones, and it is a well-known fact that people with spondylitis are already at higher risk for osteoporosis, a dangerous thinning of the bones that can lead to fractures. Following a diet with adequate amounts of calcium and vitamin D will help reduce the risk of osteoporosis. Alcoholic beverages can also weaken bones. Consuming more than two alcoholic drinks per day increases a person's chances of developing weakened bones. In addition, alcohol mixed with certain medications can cause serious side-effects to the gastrointestinal tract and to major organs such as the liver and the kidneys. It is important to find out from your doctor whether any of the medications that you take affect how your body uses what you eat. 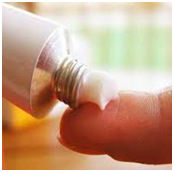 For instance, some medications cause a person to retain sodium, while others cause potassium loss. Eat a variety of foods that make you feel good - avoid those that do not. Weight gain (high blood pressure, diabetes, cancer, stroke, and heart disease), extra weight puts additional stress on joints and bones. For example, the corticosteroid prednisone causes weight gain to some degree in nearly all patients who take the medication and can lead to redistribution of body fat to places like the face, back of the neck, and abdomen. Making it difficult for some people with spondylitis to maintain a healthy weight. This is especially true for those with spondylitis of inflammatory bowel or Crohn's disease that experience gastrointestinal problems on top of the arthritis symptoms. Report any severe weight loss to your doctor. If a person's oral intake is poor, then they will need to be supplemented with liquid formulas or to explore food habits and preferences to encourage a person to eat through consistency of food and planning a balanced diet. The dietician will be able to determine the appropriate modified consistency of food (i.e. blended, soft and moist or easy chew) and fluids (i.e. pudding, honey, nectar or thin) of a person Planning a balanced diet is important to allow adequate nutrition for the recovery in a person with TBI. The table below will be a guide to choosing and planning meals from the four major food groups. Many patients experience poor appetite. To boost your appetite, consume small portions of food- about 7-9 snacks/meals throughout the day. Nausea is another common complaint that could be caused due to medications. Take the prescribed medicines on full stomach. Consult your doctor if nausea persists. Ginger can be used an anti-inflammatory. You can make your own ginger tea by adding a teaspoon of fresh, grated ginger to hot water. 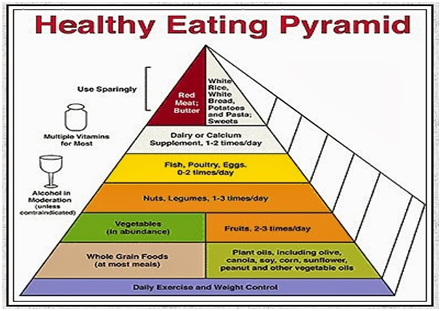 Below is a sample Diet Plan for a patient who has undergone angioplasty.